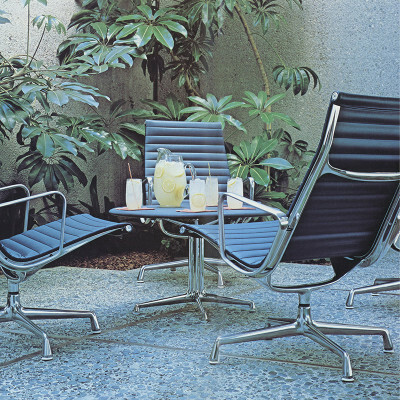 What was the Eames La Fonda Side Table? 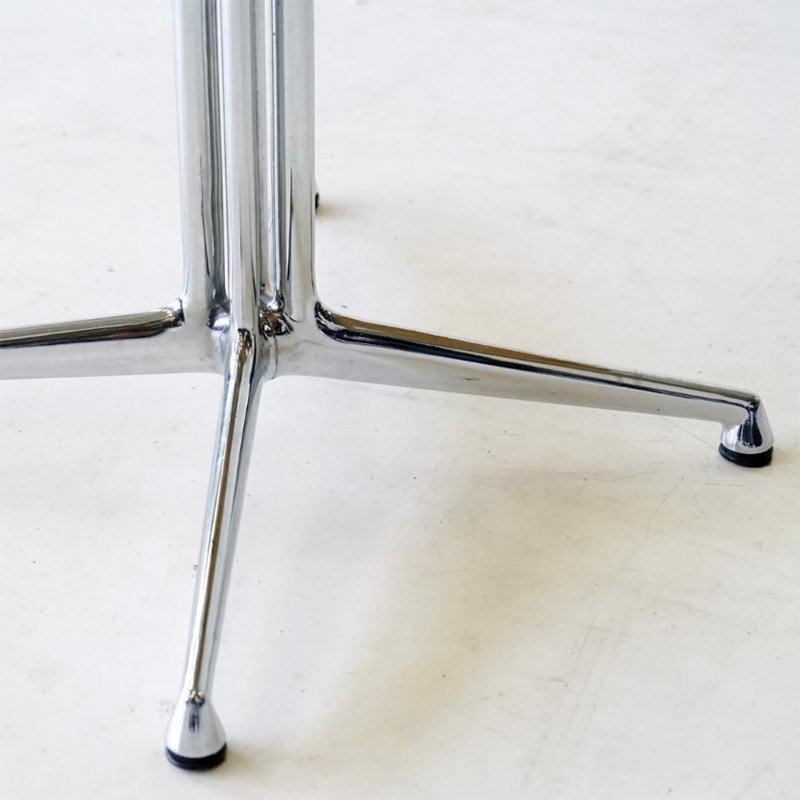 Released in 1962, a year after the matching side and arm chairs, the Eames La Fonda side table was a small but upmarket incidental table marketed for a variety of uses in the home or workplaces. 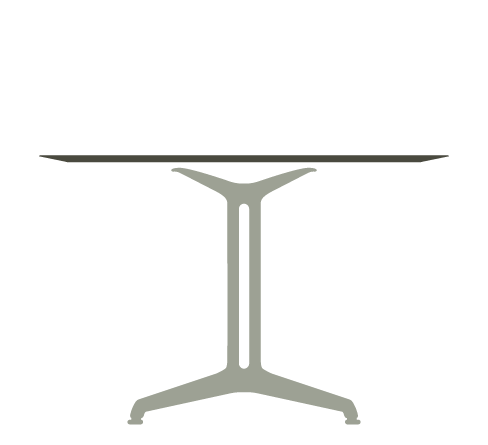 The table sported the beautiful and distinctive 'La Fonda' polished Aluminum base with double vertical column and 4 spider like feet. 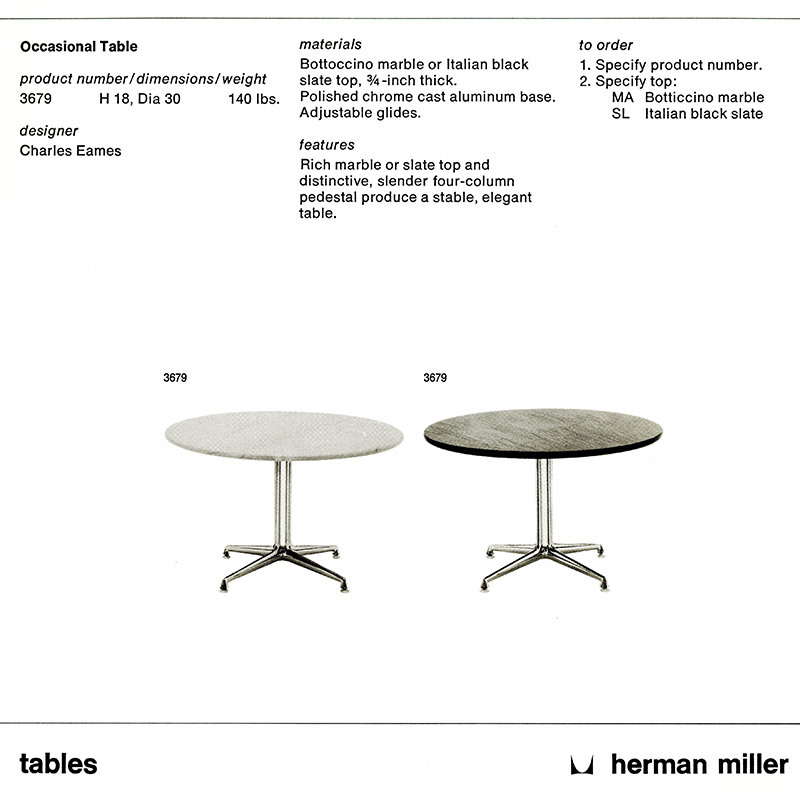 The tables sold in modest but consistent numbers and a version of the table remained in the catalog well into the 1990's. 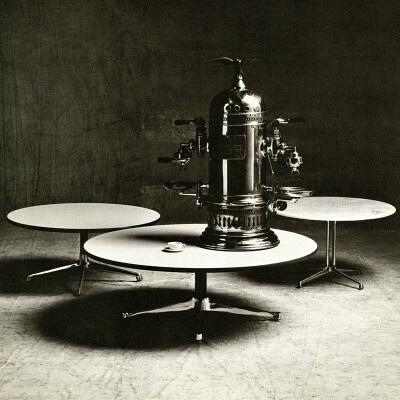 The Eames La Fonda Side table was released with model and catalog number 3679 which remained the same until the 1990's where it simply became known as the Eames La Fonda Table. The table was only ever produced with a luxurious natural stone top, making it quite different from the Contract or Universal base tables from the Eames portfolio that sported more generic finishes as standard. The first tables were sold with a semi translucent White Onyx with natural brown veins but over the years other stone tops would be utilized including Cararra, Perlatto and Bottoccino marbles as well as real slate. 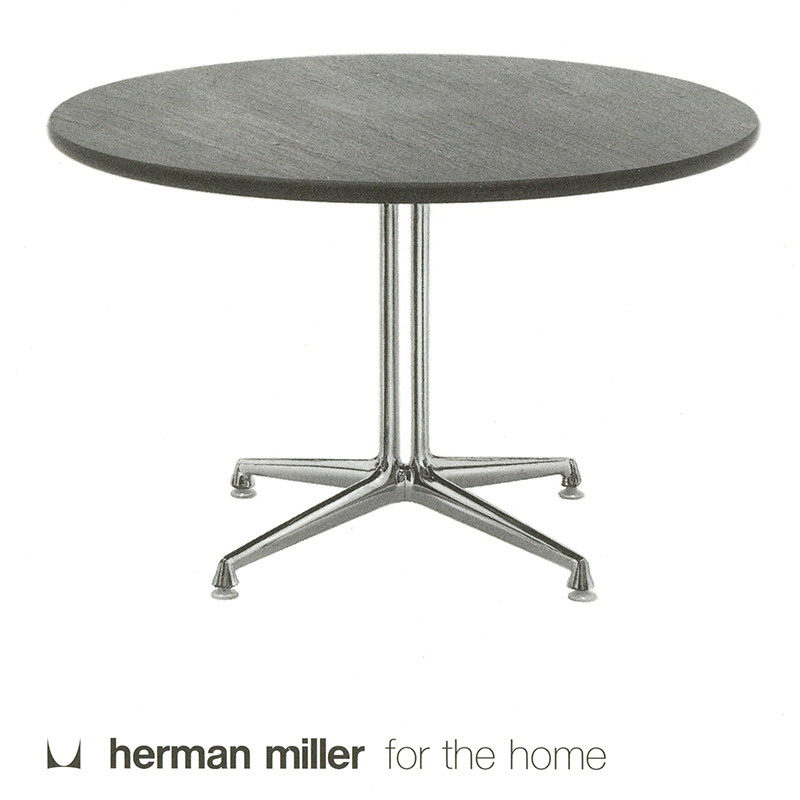 The polished Aluminum base could alternatively be purchased in white or grey solid painted finish. 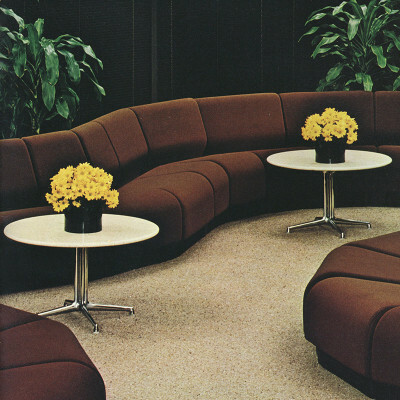 The Eames La Fonda series was famously designed at the bequest of Alexander GIrard for the New York based restaurant of the same name in 1961. Despite that, the actual series released for general sale did not include a dining size table, only the chairs and the side table, the reason for this will never fully be understood. What were the original sizes of the Eames La Fonda side table? 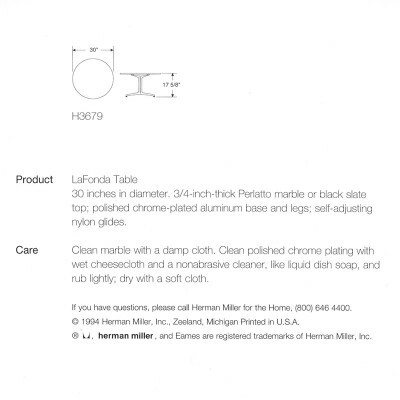 Is my Eames La Fonda side table authentic? What makes it valuable? 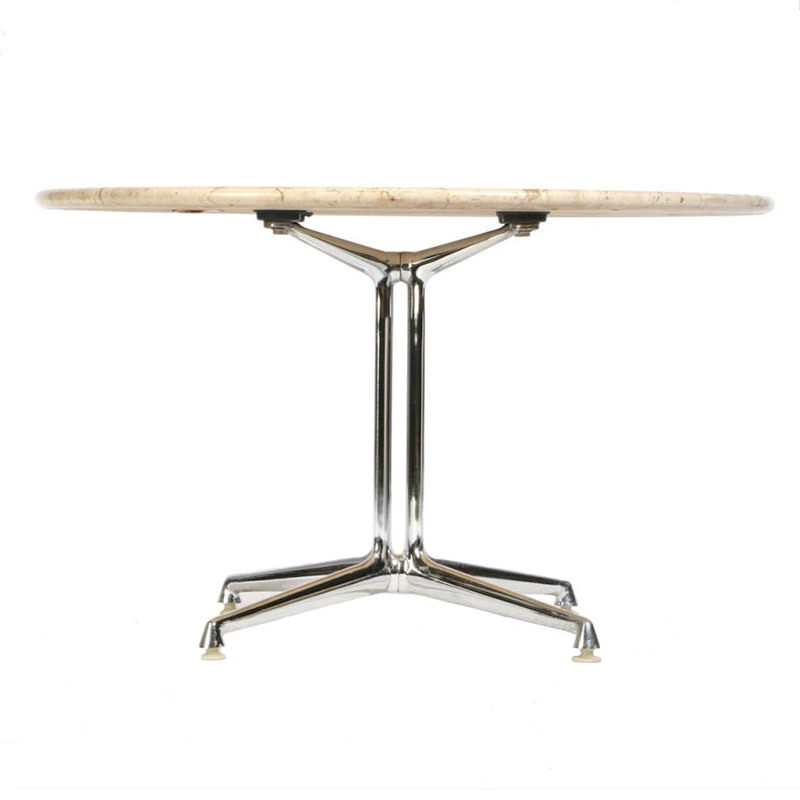 The Eames La Fonda base has been copied in the last decade or so but it is not generally seen on tables. It would be difficult to replicate the quality of the real stone and marble tops to the high standard required to pass off as an original piece. 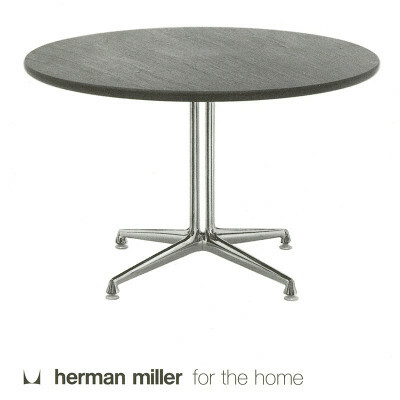 Look for the Herman Miller label on the underside of the table top. 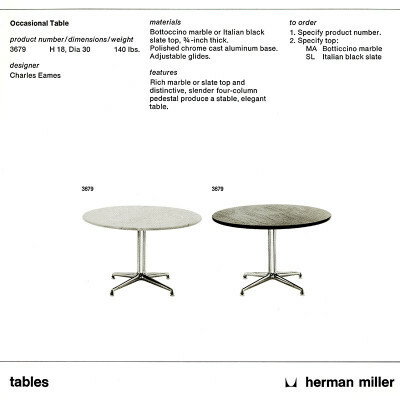 Early tables would have the medallion labels, followed by black and silver strips. Labels provide good surety of authenticity. 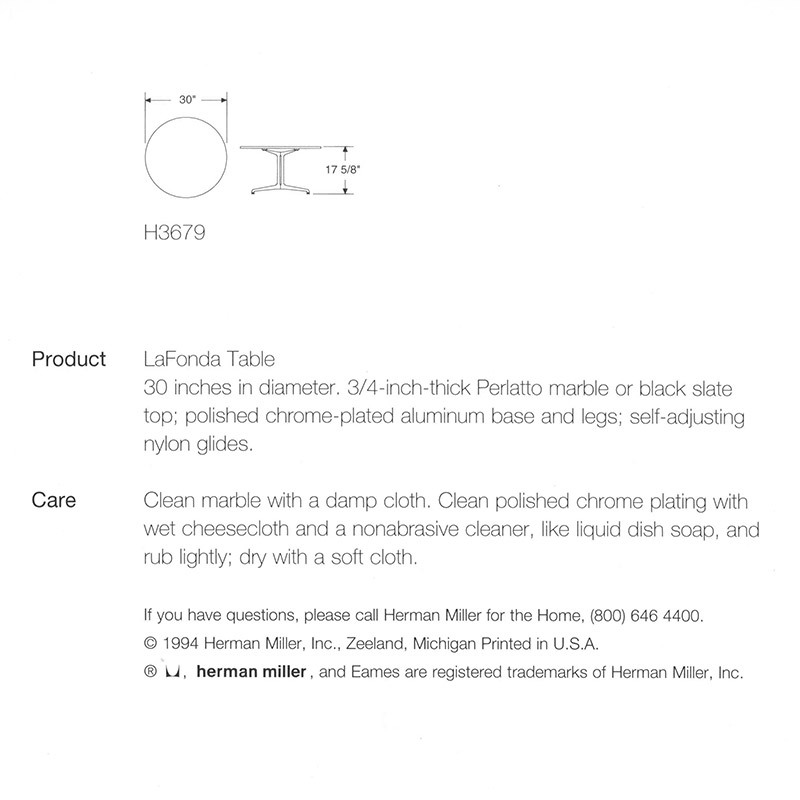 All the Eames La Fonda side table variants have a high starting default value due to the quality stone used for the tops. 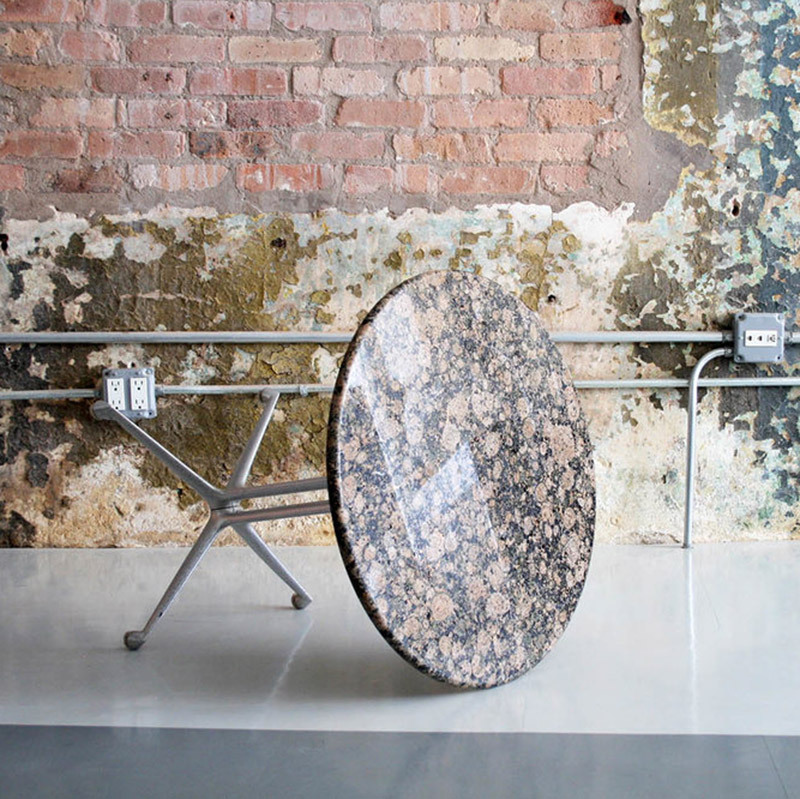 The semi-precious Onyx tops of the earliest releases will likely be the most desirable, due to age, but all of the marble and slate options are equally as fine and therefore attempting to differentiate value between them is almost impossible. Value may very well come down to the condition of the top. 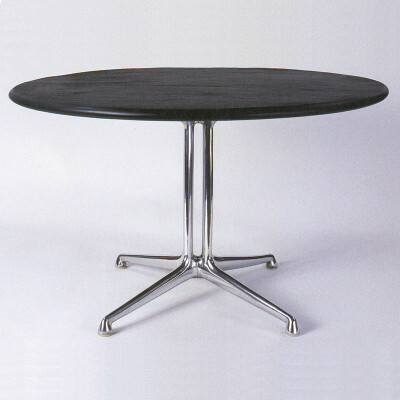 Being stone, they have a resistance level which is far higher than plastic or veneer top tables but there is still the possibility of damage. Stone top damage tends to present itself as a chip therefore it is imperative to go over the surface and edges as any of these will impair the value considerably. In the end, the color of stone and its natural veins will provide individual desirability and likely dictate what someone may be willing to pay for a table. Whilst the tables are not rare per say, they were always an expensive piece, since conception.